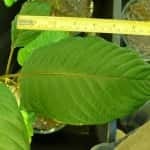 If you want to prepare crushed kratom leaves, start with the advice of the experts. Traditional cultures have used the leaves of the Mitragyna Speciosa tree, also known as kratom, for centuries if not thousands of years. This cure for ailments big and small, soother of the mind, and provider of potent energy was literally just plucked off of trees and chewed in the mouth. When a Dutch explorer re-discovered the plant remedy in 1831 and set about sharing it with the world, new ways of ingesting kratom had to be devised. Here are a few tried and true simple preparations of kratom leaf that you can enjoy in your routine. 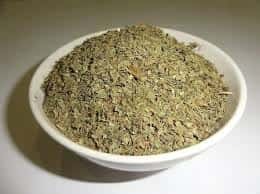 The most common method for preparing crushed leaf kratom is by transforming the leaves into a powder. This is easily accomplished. You can simply crunch up the leaves in your bare hand, being careful to collect the resulting dust, perhaps on a piece of paper laid out on the table. 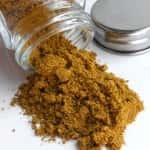 You can also add dried leaves to an empty pepper mill (preferably a new one so no remnants of other spices remain), and grind them into a powder. Or, a small food processor or blender can accomplish the task well, though be sure to account for some kratom dust getting stuck to the blades. Eat raw off of a spoon, followed by a delicious drink. Mix into orange or grapefruit juice. Blend into soft foods like pudding or applesauce. Add to hot, savory foods like soups or oatmeal. Load into empty vitamin capsules from a health food store. Smoking or snorting this powder is not recommended, as it will not enter your bloodstream any faster or more effectively. 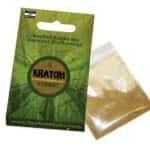 Most users agree that ingestion by mouth is the best way to take kratom. 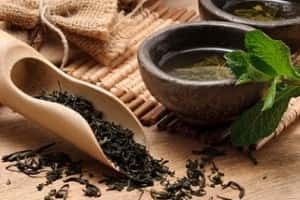 Another very popular method for taking crushed kratom leaves is brewing them into a tea. You don’t need any special equipment for this other than a tea kettle or pot and simple strainer. Just add kratom powder (or just the leaves) into a pot of water and bring it to a soft boil. Then reduce the heat to a simmer and let sit for 15-20 minutes. Pour the liquid into a mug, using a strainer to separate out the thicker sediment, which you can then discard. Even a piece of cheesecloth will work as a strainer and won’t dilute the efficacy of the tea. Serve hot immediately, or put on ice, or store in the fridge for later. 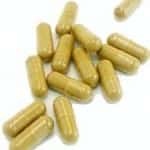 Dosage is a very important consideration for any kratom user, every single time they take kratom. Each type of leaf will express unique effects in varying potencies. Sometimes, patient experimentation is the best way to calculate the optimum dose. However, here are some general dosage guidelines for powders that will help you begin the process of finding your perfect dose. 1-3 grams of powder. This is an excellent entry level dose for most users. Effects will be noticeable but of shorter duration. 3-5 grams of powder. This is a good median dose. You should expect more stimulant-like effects at this level, for a brighter, more energetic feel. 5-7 grams of powder. This is a very strong dose for most users. Effects at this level will begin to get more relaxing and sedative in nature. 10+ grams of powder. This very intense dose is only recommended for experienced users. Effects at 10 grams and above can have very strong sedative qualities. Of course, anyone who wants to buy crushed kratom leaves should start with the classics. But from that basis, it can be fun and informative to experiment with new methods that suit your lifestyle. This can include combining kratom with new foods, or simply working with ingestion techniques that make the experience more enjoyable, such as time of day and before or after meals. There is no wrong answer – as kratom leaf is safe and effective when used responsibly, the best way to take it is up to you.